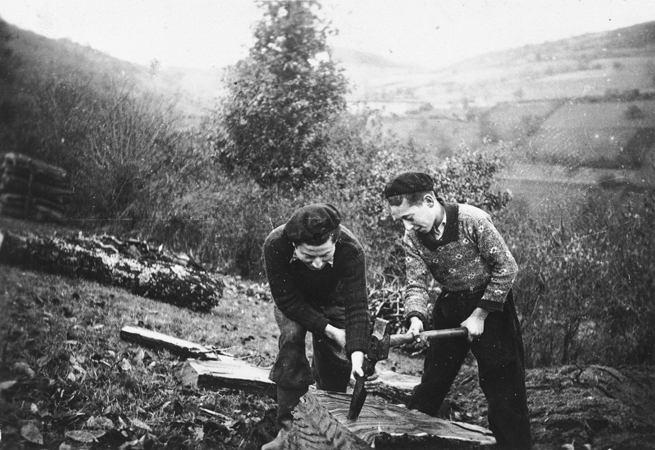 Two Jewish youths chop wood while living in hiding on a farm in Taluyers, 1943. 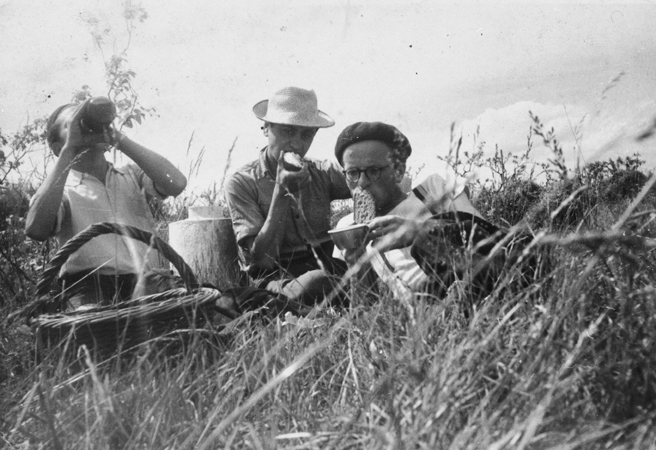 Alfred Bohem (left) survived and lives in Strasbourg and Robert Loeb is on the right. 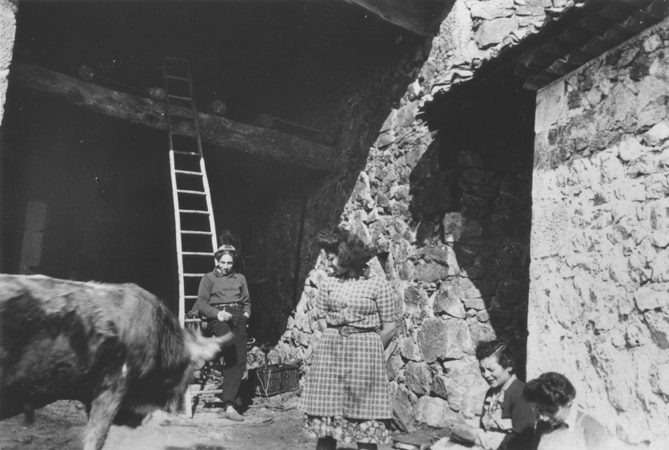 Jewish youth in hiding on a farm in Taluyers during the German occupation. Pictured is Robert Loeb.